The ground was wet underfoot. The team were contacted by Cumbria Police concerning an accident at Goats Water. It was reported that a man had fallen and broken his wrist. A full team call out was initiated, the team left the base and made their way to Goats Water. 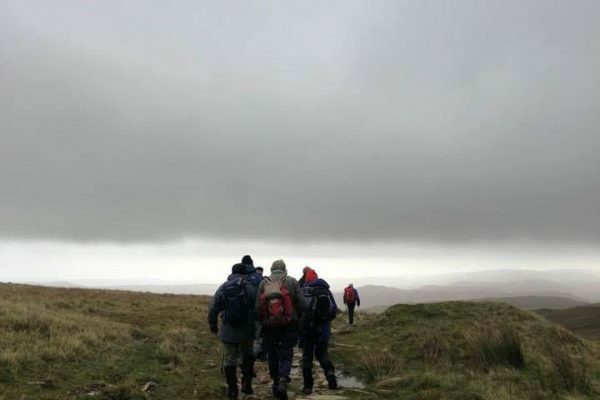 The team left the vehicles on the Walna Scar track and ascended the fell with the necessary equipment. We were able to contact the gentleman’s party and were told that he was making slow but steady progress down the mountain. When we met the injured man, his wrist was splinted and he was given some pain relief before making his way further down to the team vehicles. On arrival back at base the injured man was transferred into the care of the paramedics from the North West Ambulance Service (NWAS). In total this incident involved 11 team members and lasted 2 1/2 hours.